SANTA: Ho, ho, ho … ‘tis indeed! MARIE ELENA: I can’t believe it’s you! Honestly, I totally expected one of your helpers to stand in for you today. I just can’t thank you enough for taking time for this interview. I’m downright dizzy with delight! And where are my manners? I haven’t even introduced you. Oh, who am I kidding. You clearly do not need an introduction – just a warm, come-sit-with-me welcome! SANTA: Marie, Marie – I say it twice, because on my list you’re very nice! Thank YOU for taking the time to give this jolly old soul the chance to chat. You make me feel like Old King Cole! Ho-ho-ho! And you are most welcome! I handle all interviews myself. I always take time to get to know those who hold Christmas dear. I guess that gives me an edge over your poetic partner. I got to see that smile in person. Walt, if you ever get the opportunity, I highly recommend it! But yes, we’re in full swing up here in Caribou Corners. I’ll bet you didn’t know that this little piece of Heaven had a name! The “North Pole” is really just a demarcation for the center of all this activity. Look around you! There’s an electricity to this place. Makes my heart glow even brighter! MARIE ELENA: Oh by gosh, by golly – you learn something new every day! Obviously, this most-wonderful-time-of-the-year is the busiest season of all for you. How are the preparations going? SANTA: After a well-deserved summer hiatus, my crew had kicked things into gear in mid-September. The shelves are filling rapidly and I couldn’t be more proud. We surpassed our quota by Thanksgiving Day (my SECOND favorite day, by the way). That’s the day that I start to seriously fill out my suit! But, we have added more seasonal workers this year. And since the season actually runs 365 days, that’s sort of a misnomer! But, we’ll be working right down to the last second. An eleventh-hour reprieve from Santa carries a lot of weight! But then again, SO DO I! HO-HO-HO! We’ll be ready. Will you be ready? by the smiles am I awarded. right up to the night I take flight. (but, I always carry extras, in case of emergency). and keeps my ever loving heart pulsing. they’ve made my job worth doing on that night. of no return. It’s just the way I roll. Ready? No! But, I’m in control. MARIE ELENA: You just gave away a little-known secret Walt and I have been privy to for a few years: You enjoy writing poetry. In fact, he and I have been quite impressed with your work. Others can find more of it at your blog, I Am Santa Claus (http://iamsantaclaus.wordpress.com/) So, Santa, please tell our readers what drew you to poetry. 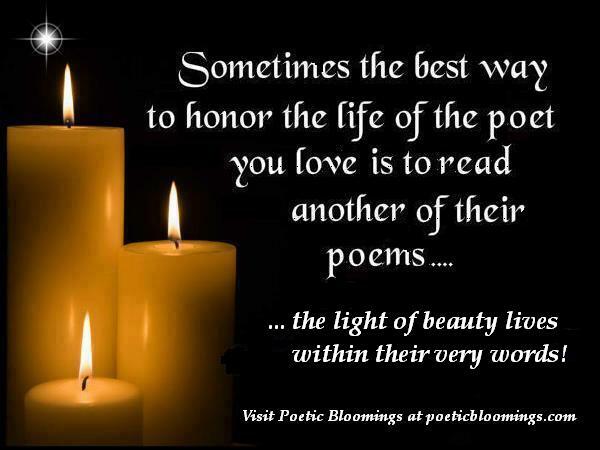 And will you please share with us one of your most beloved self-authored poems in your favorite poetry form? SANTA: That’s so nice of you to say, Marie. Remember, I’ve had centuries to perfect our craft. Yet, I feel like I’m just starting to come into my own, poetically speaking. Poetry does have its allure, as you and Walt have come to find. It speaks to me in special ways. It’s like a great tag line from a heart-felt Christmas card. It warms you. Comforts you. I love rhyme and the way words and sounds take a melodic tone that I can’t stop reciting or repeating. Poems are Christmas Carols without the distracting background music! will not deceive if you keep an open heart. and our labor of love continues. For it is the Magic of Christmas. time brings. All I ask is that you believe. know that I have seen the goodness in your heart. this man whose reindeer fly to near and far up above. that you can be an Ambassador of Christmas. that we can find some magic in which to believe. it is said you will be blessed from above. would to make you believe. Do you? Do you believe? Do you believe in my reindeer up above? presents to the world each and every Christmas? as long as your blood flows bright red? that I place a good and loving heart above material wealth. Without Christmas, I would be at a loss. I am Santa Claus. Maybe it’s just my nature. who looks at every curse as a gift. it doesn’t take a detective to solve that mystery. the redder, the better. The fact is, I look good in crimson. You can’t find this shade anywhere else in nature. would receive as an unexpected gift. and the furry Easter thing. Sorry to boast, I am loved by the little ones. My identity remains a poorly kept mystery. I bask in the glow of Borealis; another beautiful mystery. and I constantly check to make it twice as good. I can deal with bad, and I can appreciate how hard it is to be good. I have a well-known history; it’s more myth than mystery. These are the facts as they’ve always been. I love nature. Crusader! I’ve saved every one. Each New Year has the potential to be one of the best ones. It is a real joy to do this much for the sake of good. my disguise does not lend itself to mystery. If you truly trust me, maybe I’ll leave a special gift. As I’ve stated, it is in my nature. Human kindness is human nature. That’s rule number one. Two: Every gift from the heart is especially good. Three, is really no mystery. I am Santa Claus. Believe in the man in crimson! MARIE ELENA: Most of the stories about you include elves, who supposedly help you make and distribute the toys. Is that just make-believe? Or do they really exist? “dwarves” aren’t what you call us chaps. like small pox was a little plague. and rather tasty cookie bakers. we need the work; he has his reasons. although our height is quite inferior. it’s exuberance that makes us beam. If not for us, his job gets tougher. from up here on this merry isthmus. and hold us in their hearts and minds. although we’re three hundred and six years old. He is Santa Claus. We’re his elves. We hold high opinions of ourselves. MARIE ELENA: Hahaha! Cute, mischievous little rascals! A global Christmas Eve tradition is to leave a little something for Santa to munch on. So here’s your opportunity, Santa: What types of Christmas Eve snacks do you prefer? Should we continue leaving cookies and milk? Anything else? I’m a connoisseur you see. at the cookies left out for me. with a glass of skim milk are heavenly! I eat them all because they’re free. and smell delicious, Golly Gee! for me, these two just sing my name. Kringlas and Fatt(ig)mann are named after me. (I can because I am Santa Claus). (Whispering) And I love a great chicken wing! MARIE ELENA: I must say, that was simply awesome! Here – try a Pizzelle. It’s a lightly sweet, traditional Italian cookie that looks like a snowflake. Right up your alley. Santa, you travel the entire world in one night, year after year. Do you have a spot dearest to your heart – someplace you’d like to linger, instead of rushing through like lightning? SANTA: (Pauses contemplatively) There is this moment in my travels where a bright star appears and leads me to a place that is so peaceful and serene. The reindeer and I hover over this spot in reverence, because it is my preference to do so. In that precise moment, all war ceases, all children are protected, homeless mothers and their families are safe, and warm and well fed. No crimes are committed, and if you blink – you would miss it. If every day could hold just an hour of that, this world would be a more special place. MARIE ELENA: “Diminutive dependents” – giggle, giggle. And speaking of “the Missus,” we know so little about Mrs. Claus. What can you tell us about her? SANTA: Ah, Mrs. C is a very special lady! She doesn’t get enough credit for keeping this weary old Santa going year after year. She is my strength and my purpose. She is the spirit of Christmas personified. when I’m done globe trotting. and melting her heart for my return. to cease, and desist this all night party. to keep me in this Christmas game. But to me, she gives my heart great pause. And it’s all because…I am Santa Claus. MARIE ELENA: Without divulging any “must keep” secrets, how do you keep track of who has been naughty, and who has been nice? SANTA: The speculation is that there is a BIG book and all the names are listed and I check off the good and scratch out the bad. There’s no real secret, Marie. iHave iList on my iTouch. There’s an “app” for that! But, there is a misconception about the whole naughty/nice debate. Every New Year you get a clean slate. Your conscience puts you on the list. The decision is yours to make. A clear conscience is nice; a guilty one, not so. There is a cumulative effect. And those who are habitually bad year after year are assigned to do infomercials for an eternity. My advice? You better be good for goodness sake! MARIE ELENA: Speaking of naughty or nice, our little Sophia (who Walt lovingly refers to in the Polish “Zosia”) has been extraordinarily good, for a nearly two-year-old. Do you have something special in mind for her? SANTA: An extraordinarily good, nearly two-year-old? Do they still make those? Well, I’m glad to hear it. How would Sophie look with pointy ears? They’re never too young to recruit, you know! Marie, I do have something special in mind for little Zosia Róża, but she’ll have to wait until Christmas morning, just like every one else! MARIE ELENA: *sigh* I guess I better not pout. So, moving on, how did you get this gig? Do you think you’ll ever retire? SANTA: An old classmate and friend, Marv Levy (former Buffalo Bills coach) used to have this saying, “When you start talking about retirement, you already have.” Being Père Noël is like being a Supreme Court Justice, but better. I’m Santa for life. I’ve been doing this bit for six-hundred some years myself; at this time of year, I am the final arbiter! could no longer man Grandfather’s chair. when he sat in the chair. He called me to his bedside. searching his old steel blue eyes. and his nose held his glasses aloft. with me by his side, rumor has it. that I had become that. and held one finger crossing my lips. but he had to be quiet about it. the mantle which I have accepted gladly. I would be seated in Father’s… er, my chair. It was a big chair for a big man. gazing up at my warm blue eyes. and my nose wrinkled when I’d think. like Aurora Borealis, rumor has it. always asked over the years. “Been good?” I’d size them up. and hold two fingers across my lips. This meant, take two and be quiet about it. And that meant I could change the rules! MARIE ELENA: Some say you and St. Nicholas are one-and-the-same. Is there truth to this rumor? SANTA: Let’s look at the facts and you decide: St. Nicholas was a bishop in his church and was always depicted wearing red as a designation of such. Nicholas sported a long white beard and he always had gifts for the good children of the villages he would visit: coins, marbles, small toys, maybe pieces of fruit… a little something. The Dutch children couldn’t pronounce St. Nicholas’ name very well and the resulting sound ran together as Sinterklaas. He was a patron of children. And me? I wear red and have a white beard. I bring gifts to the good children. My name is Santa Claus. If you said we were one and the same, you would be partially right in that I had patterned my life after St. Nicholas. But, he died in 343 AD. I’m just a jolly old guy who is still very much alive in the hearts of many. MARIE ELENA: There seems to have been a severe secularization of this season. Forgive me if this is too controversial a question, but where do you think you fit into the celebration of the birth of Jesus? SANTA: Ah, the Jesus question. First of all, I’m a true believer! And I always love when this question is asked – it’s as if people think Jesus and I are in competition for this whole Christmas scene. But, notice something: It’s not called Clausmas. It sounds trite, but He is the season’s reason. It is Christ’s celebration, and I am one of the heartiest of revelers in this cause. I have become a representative symbol of all that the Christ espoused. Love, charity, hope and the belief that good will eventually rule the day. And I believe each of us has the capability to do good. Some just need a little more faith to get it right. Say “Happy Chanukah” to me, and I will respond, “Why, thank you! And a Merry Christmas to you.” Wish me a “Happy Kwanzaa, and I’ll reply, “Indeed! And a Merry Christmas, too!” Say “Happy Holidays”… you get the picture. I am no less a believer in Chanukah, or Kwanzaa, or Festivus (if you’re so inclined). These are all wonderful celebrations. I mean no disrespect to any of these. But, promoting Christmas is my thing; my honor. I carry Christmas with me always. christmas will be within me. that’s keeping the spirit alive within me. MARIE ELENA: So beautifully stated, sir. Just like you. Now, as I ask all those I interview — if we could know only one thing about you, what would you tell us? SANTA: The one thing I’d tell you is that there is never only one thing. I’m not as lively and quick as I used to be, but I hold my own. All of those surrogates you see out and about in department stores and street corners during December are personally appoved by me to carry that mantle. Reindeer really do fly and I’ve never fallen off of a roof. I’m very proud of that! My favorite Christmas song is “Believe” by that Groban kid; my favorite Christmas special would be the classic original – “A Charlie Brown Christmas.” I always get choked up when Linus explains the season. He has it so right! But the most important fact you need to know and understand about me is this: There is most certainly a Santa Claus! only on what they can see. requires faith and a certain degree of trust. It’s a must. Certainly, Santa Claus lives. and a dedicated spirit, you will find him. is due to the wonder that brought Santa to bear. you Virginia, would be as desperate. Your trust in your parent’s love would die. hearts and end the expression of the emotions of everyone. that in your question you have re-ignited the world. Continue to believe in the spirit of Christmas. Believe, although you may not see. It lives in you. Fill your heart with the wonder of all you can grasp. it breeds division and contempt, exempting a heart from the truth. I believe in your loving ways as surely as I believe in Christmas. and bring smiles to my heart for as long as I am Santa Claus. Yes Virginia, we can agree. There is indeed a Santa Claus. I am he. SANTA: Thanks for the opportunity to catch my breath and share a bit of myself with your readers, Marie. But now I need to get back to work. Can I offer you a ride home? MARIE ELENA: Really? Seriously? I’d like that! Let’s go! Oh, wait. Will you please take a picture of us in your sleigh for Sophie? She’ll be so excited! before we head for Toledo. on this Merry Christmas night. and your nose to get all sneezy. Bundle up or else you’ll freeze, see? I’ll bet you’ve never been this high. Can you smell what’s in the air? It’s a scent I love to share. That’s the smell of Christmas there! and write another Christmas poem. the sound of your name, just feels right. “Merry Christmas to all and to Marie, a Good night! I love it! Great Triple Ho’s to you both! Sooo much fun, you two! Love this! Merry Christmas to both of you ! And one heck of a poet! Who knew? 😉 I’d recommend seat belts for that sleigh though. Let’s just say I’m thankful to have made it home in one piece. He kept telling me the safety is all in the magic, but try telling an inexperienced Santa’s Sleigh rider that while traveling at practically the speed of light. Phew! to Walt, Marie and Santa. A cookie of imagination with the frosting of truth So well done. !!! I might’ve just found my smile again. Thank you. Merry Christmas, and peace to you all. Glad we could help in that endeavor, Marilyn. Merry Christmas to you as well! Ho! Ho! Ho!. I am laughing so loud that it is good that I live in the country, or my neighbors might complain. Your wit, Santa is so sharp, and Marie, with a name like Good, how could you not be the expert to interview our crimson giant. Well done interview you best friends that have never met. Thanks for a hearty belly laugh! Adorable!!! What a great experience for you Marie! Say hello to an elf for me. Thanks Erin. “Good” is all relative and on Santa’s curve, you’ll be just fine. Sasha, if you think his Russian is great, you should hear him in Esperanto! Such a stellar interview from start to finish – and thank you Santa for explaining your feelings re the Christ in Christmas … even an agnostic such as me is uncomfortable with “Xmas” and I think your philosophy not only makes sense, it’s something I can get behind – so, yes – thanks Marie for another great interview and thanks Santa for everything. Excellent interview. Must have been tough to get at this time of year. Oh, that photo! Happy Holidays to two true wonders of the world.